Very important spiritual lessons can be learned from studying the lives of the saints. Indeed, studying the lives of the saints, and how they grew in holiness, is one of the most important things we can do in the spiritual life. This concept of imitating the lives of the saints is expressed in the New Testament by Saint Paul when he says at 1 Cor. 4:16, “I urge you, then, be imitators of me.” The saints show us how to imitate Christ. In my own lifetime it is hard to think of two people who drew closer to Jesus Christ than Saint Pope John Paul II and Saint Mother Teresa of Calcutta. And if the greatness of a saint is judged, in part, by the souls they led to Jesus and salvation, then the influence of Mother Teresa and John Paul II is truly staggering. What then are we to make of the meteoric rise to Beatification and then Canonization of both Saint John Paul II and Saint Mother Teresa of Calcutta (I understand that their Beatifications were two of the fastest ever in the history of the modern church, and Mother Teresa was canonized on September 4, 2016 by Pope Francis)? Our examination of their lives discloses a profoundly important fact; namely, that both of these canonized Saints were molded in the “school of Mary,” having consecrated their lives to the Blessed Virgin. A profound lesson to be learned from examining the lives of Saint John Paul II and Saint Mother Teresa of Calcutta is thus that devotion to Mary – and even more so, consecration – is a powerful aid to growing closer to Jesus Christ. Both John Paul II and Mother Teresa were profoundly consecrated to the Blessed Virgin Mary, both according to the method proposed by Saint Louis DeMontfort in True Devotion to Mary. 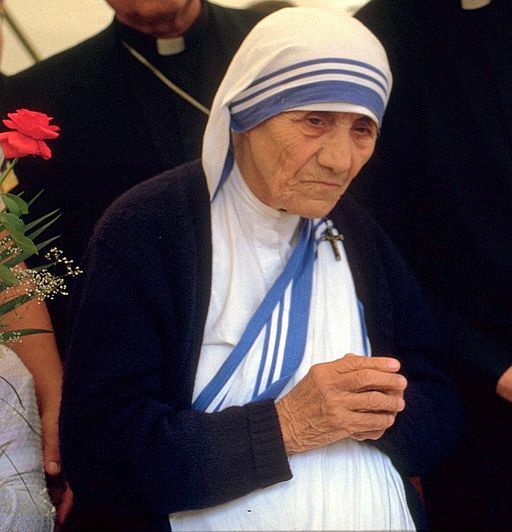 Father Joseph Langford has written about Mother Teresa’s mystical relationship with Mary in an awesome book entitled, Mother Teresa: In the Shadow of Our Lady. In that book Father Langford describes in detail the nature of Mother Teresa’s profound consecration to Mary. A book explaining Saint John Paul II’s consecration to Mary is Totus Tuus: John Paul II’s Program of Marian Consecration and Entrustment by Father Arthur B. Calkins. I am currently reading Father Edmund’s biography of Saint Paul of the Cross, the founder of the Passionists, an order of priests dedicated to the love of Jesus crucified. Saint Paul of the Cross was an extraordinary man who practiced the most austere penances and was raised to a very high level of mystical union with God (“the transforming union”) by the relatively early age of around thirty years old. And as with all the saints, the Blessed Virgin played a critical role in his spiritual development and was also instrumental in helping him to establish his new order of priests. O Mary, my Mother and my Lady, I offer You my soul, my body, my life and my death, and all that will Follow it. I place everything in Your hands. O my Mother, cover my soul with Your virginal mantle and grant me the grace of purity of heart, soul and body. Defend me with Your power against all enemies, and especially against those who hide their malice behind the mask of virtue. O lovely lily! You are for me a mirror, O my Mother! References: Chapter V of Growth In Holiness by Father Faber; Chapter VI, The Influence of Mary Mediatrix, in Volume I of The Three Ages of the Interior Life; and True Devotion to Mary by Saint Louis DeMontfort. If you are interested in making the total consecration to Jesus through Mary, I recommend the book, Preparation for Total Consecration, put out by The Apostolate for Family Consecration (or Preparation for Total Consecration by Montfort Publications). 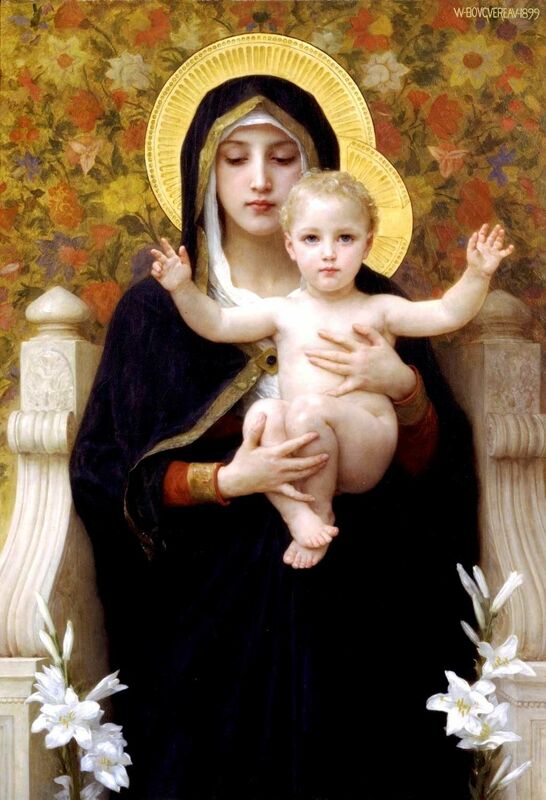 Images: The Virgin of the Lilies, Public Domain, U.S.A. (at Wikipedia). 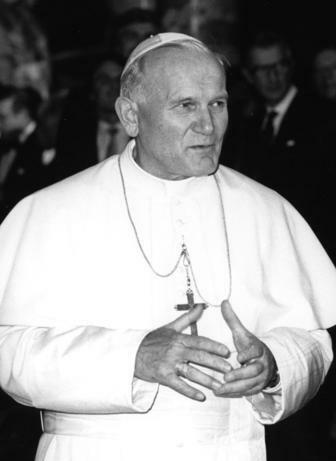 The photo Of Pope John Paul II is by Lothar Schaack, November 15, 1980, under a Creative Commons Attribution-Noncommercial license (found at Wikipedia). The photo of Mother Teresa is by Turelio, July 13, 1986 under a Creative CommonsAttribution-Share Alike 2.0 Germany license (found at Wikipedia).